May 16, 2011 / admin / Comments Off on How does Ecoflap work? Use the force! The wind keeps it shut. 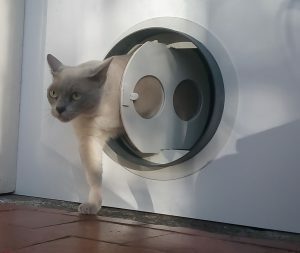 The Ecoflap patented design ensures that whichever way the wind blows, Ecoflap blows itself shut and draught-proof. It is so effective it withstands 100mph winds yet the subtle difference in balanced forces means it can open with a single sheet of paper. Using bathroom sealant you can safely stick the Ecoflap simply and cleanly to uPVC doors. 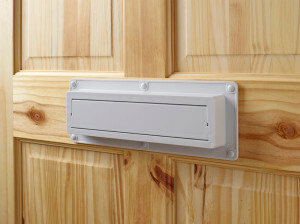 For those who prefer fitting Ecoflap with a more traditional mounting, you can mount with small screws for wood doors or with other adhesives for other surfaces. 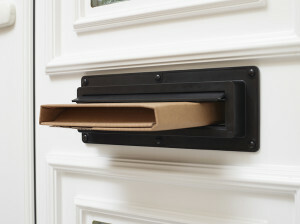 Fitting Ecoflap is simple, but be sure to use the built-in lip on the Ecoflap to match up with the existing letter box aperture to align to the centre. The entire fitting should take less than two minutes. N.B. 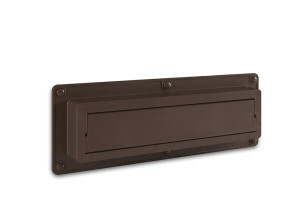 Ecoflap works with horizontal letter box apertures only. Ecoflap will fit most letter boxes and door designs – even those with cross bars – but please check our Will it Fit? 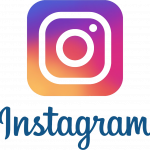 page, and/or download measurements to check.